Princess Crystal's Royal Letters: Help Police Identify This Toddler... Baby Jane Doe! Help Police Identify This Toddler... Baby Jane Doe! 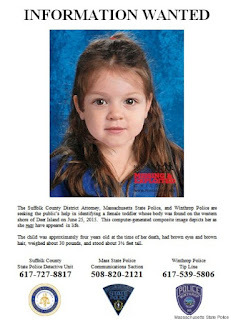 A little girl was found on June 25, 2015, on the western shore of Deer Island, she is yet to be identified. 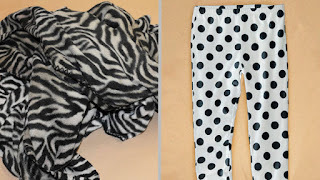 She was found dead on Massachusetts Beach in a trash bag with her zebra striped blanket and white leggings with black polka dots. Police are asking everyone to look around the social events like: school, church, neighborhood, parties, birthday parties, or even day care activities. Please call in your tip, because it is better to be wrong than to be right…in this situation! Police are asking for the public’s help in finding out who this Baby Jane Doe is. She is described as being about 3 ½ ft. tall and she weighed about 30 lbs. at the time of her death. Police are hoping to identify this beautiful child and find out exactly what happened to her. Police are hoping that this information can help jog someone’s memory, so police are encouraging people to share Jane Doe’s information. Additionally, they are asking people to notify the Massachusetts authorities and/or Boston Police Department. So, far no missing persons reports of any child missing in that area has been not reported. The police decided to release the computerized image of the toddler, because it may help someone remember this child. 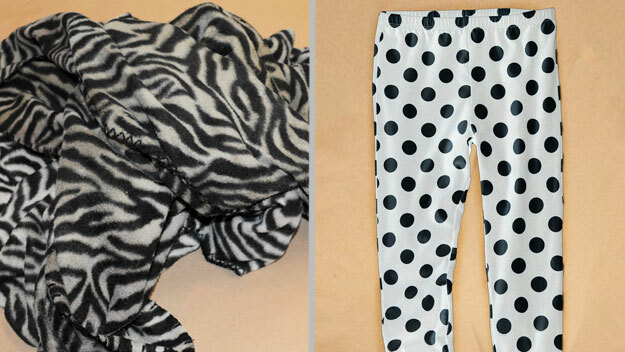 The items found with her are just as important, because it will lead the investigation into this child’s death. So, if you are her parents and scared, please speak up because she deserves to have a name and police are waiting to talk with you. Police say that she is not Aalyiah Lunsford, the toddler that has been missing since 2011 from the West Virginia area. Items she was found with. Maybe missing Sarah Hoggle? (Sarah and Jacob Hoggle both missing mother with mental illness won't say where she left them).